Most emergency situations can be promptly isolated and managed to protect your home or building from any damage, while our technicians are on the way! For your convenience we have listed typical after-hours emergency problems and provided general advice on how to best handle and control these situations. Who is responsible for your water leak? SA Water is responsible for the maintenance and repair of the water meter and any pipes or fittings that lead away from the water meter to the water main. If you have identified a water leak in the SA Water network, please phone the 24 hour Service Faults and Emergencies hotline 1300 883 121. They will then send a crew to attend the problem. You are responsible for the installation, repair, maintenance and replacement of all the private water pipes and fittings that run from your property up to the water meter’s outlet riser. If you smell gas in your home or building and suspect you have a gas leak, immediately locate your gas meter and isolate the entire gas service. Gas meters are generally located in the front yard Gas Leak of a property, near the property boundary beneath a plastic cover, or are mounted on the building inside a wall box, generally below an electrical meter box. 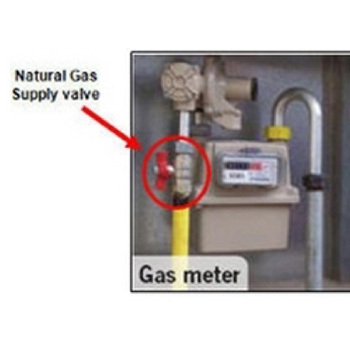 All gas meters have an isolation valve located on the incoming gas main pipe. The isolation valve usually has a red or yellow handle but can differ, and is generally a ¼ turn valve. To isolate the gas meter turn the ball valve to the right until the handle is sitting across the incoming gas pipe. In the ‘ON’ position the valve handle is aligned parallel to the incoming gas pipe. In the ‘OFF’ position the valve handle is positioned at 90deg, across the incoming gas pipe. ‘Call us on 08 8152 6740 to fix your emergency’. Burst water pipes in or around the home or building can be isolated from the properties water meters. Water meters are typically located in front yards, approximately .5meter to 2 meters inside the front property boundary. 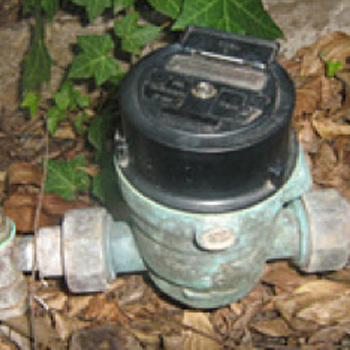 Water meters can be installed above ground or below ground. Below ground water meters may require a screwdriver to assist in opening the lid to gain access to the water meter. Most water meters have a tap on the inlet side and more recent styles have a ball vale isolation. Tap Style: Turn tap clockwise to isolate incoming water to the property. Ball Valve Style: Turn clockwise until handle locks off, typically it’s a ¼ turn. Isolating the water meter will stop any water leaks or burst pipes on your property and eliminate the emergency. If you happen to be experiencing power loss in your home, make it a point to observe if your neighbour’s lights have also been affected. In most circumstances if your neighbours are also experiencing an outage, most likely the fault is related to an SA Power Networks issue. In these cases, visit the SA Power Network’s outage map to see if your area has been affected, with ETA’s for restoration. In the case that the power outage is only experienced in your premises, visit the switchboard (located either on the side of your property, in a laundry, or maintenance/plant room) and see if a switch has been tripped on the board (positioned in the ‘off’ position). Try to recall if there’s been anything new introduced to your electrical network over the past 24 hours. If this is the case, unplug the newly introduced appliance and flick the tripped switch back to its ‘on’ position. If the power suddenly turns back on and is successfully restored, you know the fault relates to the appliance in question. 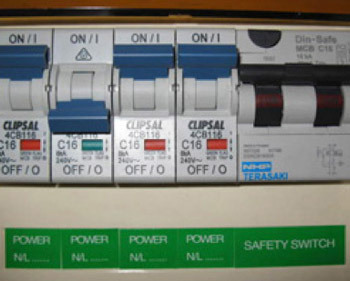 In the case that nothing new has been introduced into the electrical network and the board continues to trip, or you cannot see any switches in the off position, call an electrician immediately to asses the true condition of the problem. If at any stage you suspect that there may be a fault with your switchboard or electrical network, don’t touch anything and call Precise on 08 8152 6740. Our technicians treat power issues with the utmost urgency and we’ll respond by sending a qualified electrician out to your premises immediately. Blocked drains are usually only evident once the drain becomes entirely blocked and either begins to overflow outside or the toilet bowl doesn’t drain properly. Gurgling drains is typically the best indicator that your drains are beginning to block and should be acted on immediately to prevent emergency situations from occurring. If you’re experiencing blocked or overflowing drains, cease using any water in the house or tipping any water down the drain and call us immediately on 08 8152 6740. If your blockage is only minor and is not posing any health or safety risks, then try to identify what fixtures in the property cause the drain to backup or gurgle and avoid using them until the drains have been unblocked. If you have multiple toilets identify which toilet (if not both) is contributing to the blockage and avoid using it. Continually running or gushing water from taps or fixtures generally need to be isolated from the water meter, however there are some circumstances where the individual tap or fixture can be isolated independently. 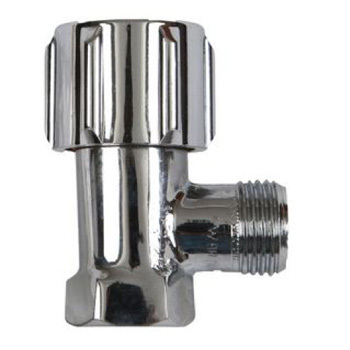 Certain types of fixtures and mixer taps have isolation valves connected to them which allows the individual isolation of that fixture. If you locate the isolation valve(s) for the fixture or tap, turn the handle clockwise or for ¼ turn taps, set the handle to 90deg. Individual isolation of fixtures allows the use of water throughout the rest of the property and eliminates the emergency. Leaking hot water heaters can ultimately be isolated by turning off the water meter, however a more practical solution is to turn the hot water heater off. This allows cold water to still be used throughout the property and allows toilets and cold water taps to still function. General recommendations to control your emergency situation. Step 1: Locate your hot water heater. It may be outside, inside on top of the roof or in the roof space. Isolating the water: There will be a copper pipe at the bottom of the HWS leading into the side of the tank. Follow the pipe back to a round black knob or a ball valve handle and turn off. Turn clockwise for the black knob or turn handle 90deg to the pipe. This will isolate the incoming water into the hot water heater. The storage hot water heater may still leak as the remainder of the water in the tank is draining but will eventually stop. Isolating the power supply: At your electrical switchboard, there should be a switch marked ‘Hot Water’ or ‘HWS’. Flick the switch ‘Off’ and this will isolate the power to the hot water heater. If you’re not comfortable isolating the power supply, leave it to us. This will isolate the incoming water into the hot water heater. 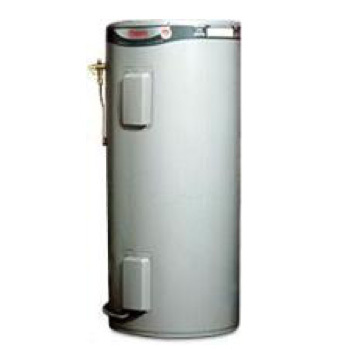 The storage hot water heater may still leak as the remainder of the water in the tank is draining. Turn the gas control knob to the “★” position (pilot). This setting will leave the pilot flame alight however the main burner will not be able to light. Turn the gas control knob to the “⚫” (off) position. This setting shuts the gas control down completely. Turn off the controllers(s) (if fitted) by pressing the on / off button. Switch off the electrical supply at the power outlet to the water heater. Beneath the heater there’s typically three pipes that lead into the bottom of the heater, ‘Cold Water In’, ‘Gas In’, and ‘Hot Water Out’. These pipes are indefinable by labels on the underside of the heater. Trace the Cold Water In pipe back from the bottom of the heater and locate the water isolation valve. Turn ‘Off’ the valve to isolate the hot water heater. From the bottom of the heater, trace the Gas pipe back from the bottom of the heater and locate the gas isolation valve. Turn ‘Off’ the valve to isolate the gas to the hot water heater. Blocked gutters, downpipes and general roof leaks can present major problems during heavy storms and rain. During implicit weather conditions it is not advised to attempt to repair any problems, but to manage and control the situation instead. Protect your property contents and locate the approximate area where the water is entering from so it can be investigated during normal conditions. Mops, buckets, blankets can all help control the situation. Don’t panic! Stay in control and if necessary we’ll arrange for one of our Technicians to come out and give you a hand.